Since the APD’s introduction, Caribbean tourism officials reckon that the increased cost per ticket has reduced the number of tourists from Britain to the region. The truth is that APD cost is still high and it still a greater cost for tourists to fly to the Caribbean than more distant places such as Hawaii in the United States and Vancouver in Canada. Dr. Holder is uniquely placed to write on Caribbean tourism. 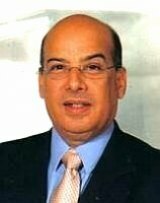 He served for 15 years as Secretary-General of the Caribbean Tourism and Research Development Centre and a further 15 years as Secretary-General of the Caribbean Tourism Organisation. “Caribbean Tourism” should be a required text for several disciplines of study at our regional universities for while the book’s central focus is tourism, it is more than that. It examines tourism in the context of the Caribbean’s history in slavery; its colonial division and rivalry; its efforts and failures to create an economic integrated area; and its international relations. “Caribbean Tourism” by Jean S Holder, ISBN 978-976-653-015-0 is published by Canoe Press, Kingston, Jamaica.